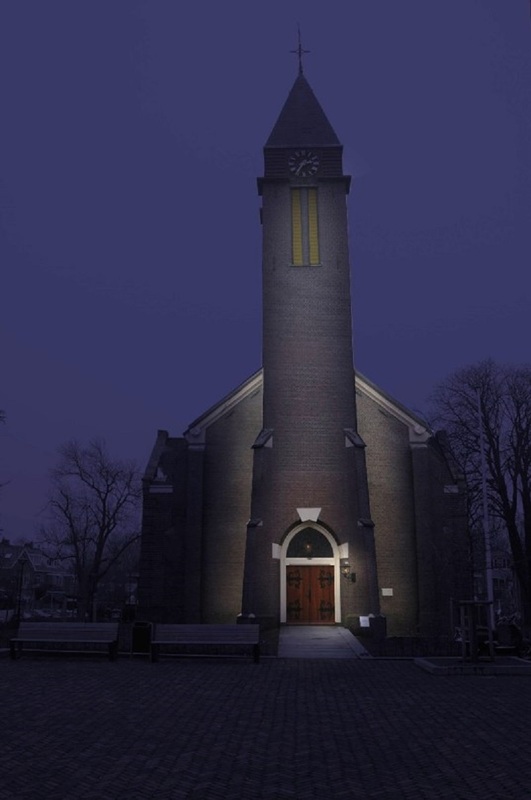 Commissioned by Infra Engineering B.V., C.Light.Wise made a lighting design for the entrance façade of the ‘Dorpskerk’ in Amstelveen. Although the church is currently not used for church services, the building remains a characteristic and recognisable object in the area. The soberness that the building emits requires a clear but simple use of lighting. The lighting design had to match certain requirements, namely: simplicity, all lighting had to be done by the use of LED and the design had to maintain the lantern at the entrance.